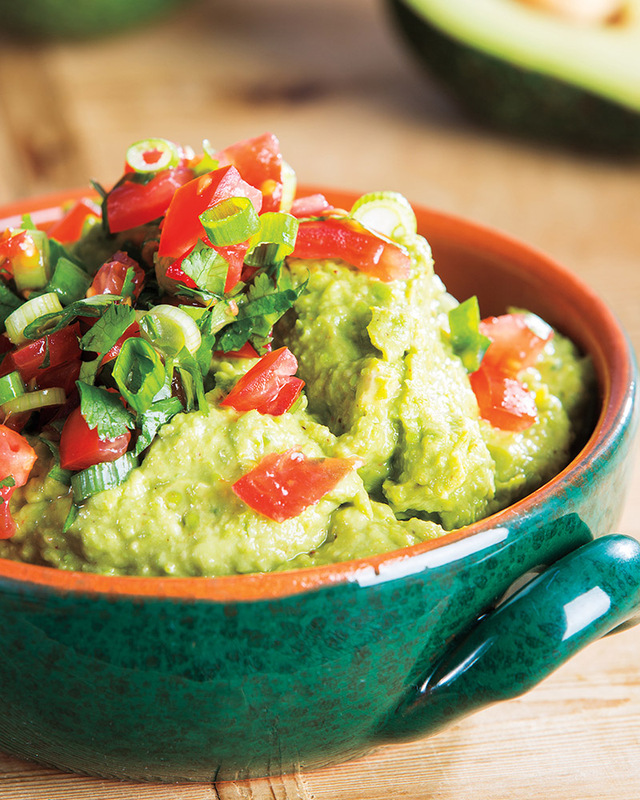 Guacamole and tomato mixture can be prepared and refrigerated up to 6 hours in advance. Top the guacamole with tomato mixture just before serving. Include the seeds and veins of the jalapeño chile pepper for a spicier guacamole. > Instead of topping with the traditional tomato mixture, try topping with seasonal fall fruits. Mix diced apples or pears with chopped cilantro. Top guacamole with fruit mixture and sprinkle with chopped pistachios to add some crunch.